Whether you plan to spend the day in our business center or visit the beautiful Lake Michigan with your family, start the day with fresh, hot waffles and steaming coffee from our breakfast room at the Country Inn & Suites, Portage, IN. 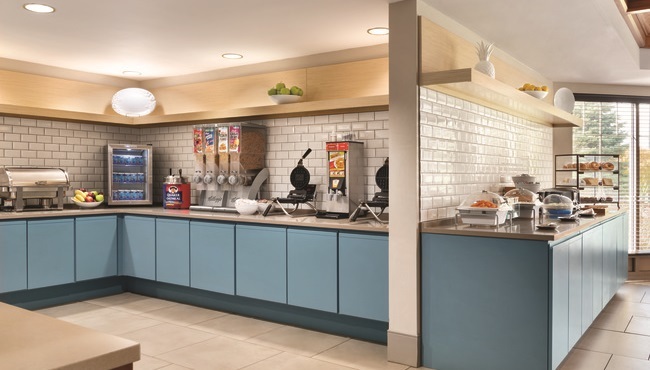 Every morning, hotel guests enjoy a free, hot breakfast with selections like biscuits and gravy, eggs, bagels as well as fresh fruit, cereal and eggs. If you’re in a hurry to explore the local Portage attractions, grab a pastry and a cup of coffee to go. For lunch or dinner, order a pizza at Gelsosomo’s Pizzeria, feast on a burger at Cappo’s Casual Dining or explore the menu at one of several other nearby restaurants.